Empire is a very hardwearing lawn, with a relatively fine textured leaf. 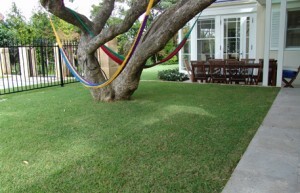 It is a moderately shade tolerant lawn, much better in shade than Couch or KIKUYU, however not as tolerant as Buffalo lawns. Empire has better cold weather colour than Couch or Shademaster Buffalo, but will brown off quicker than KIKUYU in very frost prone areas.